This is a four-part audio series begins with “Realizing What You’re Worth”and is packed with facts and figures that confirm why the DJ industry is so drastically undervalued. Next, “Believing What You’re Worth” helps to give you the courage to ask for your true value as a Professional. Session three is “Communicating What You’re Worth” – how to communicate your value to prospective clients not only through words, but attitude as well. Session four wraps it up with “Being What You’re Worth”, which is a discussion on ethics in our industry featuring Mark’s apprentice. This is a downloadable product only. Read more BELOW. Download the seminar that started a revolution! This is the seminar series that has been credited with raising the rates of Mobile DJs over 300% in just a few years – internationally. The engagement season in nearing us for 2013. This is a time I depend on for my bookings to hit their goals. I already have over 20 on the books at over $4K a piece. I took off one weekend at the end of July for me and my family (right in the middle of my busiest time) and over half of those people that booked me called to book my availability before calling around to any other wedding vendor. I am leading a charmed existence in a career that I never dreamed would bring me a full time living before 1999. By the clients that hire me, the wedding professionals I am lucky to collaborate with and my peers all over the country, I am treated as a expert, a polished gemstone, a celebrity … and as crazy as it sounds I know that I have yet to see the peak … I know that the possibility of what I will create beyond today is limitless … this is still only the beginning. 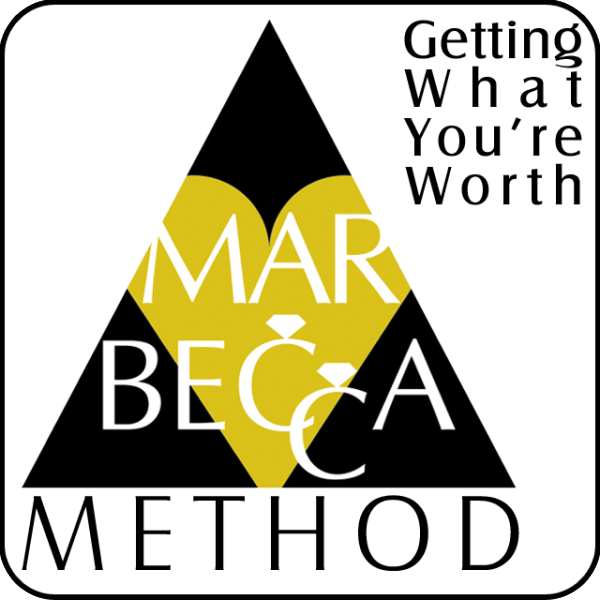 I tell you this not to brag but as testimonial to Mark Ferrell, Rebecca Ferrell and Mark Ferrell – The MarBecca Method so you may see what is possible in all of us … in YOU. I type this with tears of gratitude in my eyes and love in my heart for those that saw what was possible for me, my family and my future well before I saw it. I will forever be grateful for the day I sat in that crowded seminar room in Las Vegas as an inspiring DJ stood behind a podium and spoke to me … for the friendship, the guidance, the encouragement, the mentor-ship and … the unconditional love given to me by Mark and his beautiful soul mate Rebecca. If I live to 100 I will never be able to truly express the impact that their very presence has had on me, my wife, my children, my friends and those lives I am given the great privileged to touch, move and inspire every day. Get What You’re Worth. Reach beyond what your own eyes can see and trust this message and this man. This four-part series begins with “Realizing What You’re Worth”, which details exactly why Professional Mobile DJs are worth so much more than they are currently charging. It’s a seminar that is packed with facts and figures that confirm why the DJ industry is so drastically undervalued. Next, “Believing What You’re Worth” helps to give you the courage to ask for your true value as a Professional. It’s the most important session. Session three is “Communicating What You’re Worth” – how to communicate your value to prospective clients not only through words, but attitude as well. Session four wraps it up with “Being What You’re Worth”, which is a discussion on ethics in our industry featuring Mark’s apprentice, Peter Merry. Seminar Audio” Click here to cancel reply.